The room was big and very clean and the cleaning of the room was made daily.The view is great, sea from one side and mountain from the room balcony. The owner is very friendly and helpful, they explained us what to see and visit in the island, as we stayed only few days. Big plus is the swimming pool, and also private parking. 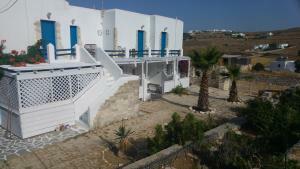 We will surelly come back if we come again to Paros, as we were really happy with our stay in Villa Melina. Nice location. Cool and very deep swimming pool. Very nice owners. The hospitality is something amazing. 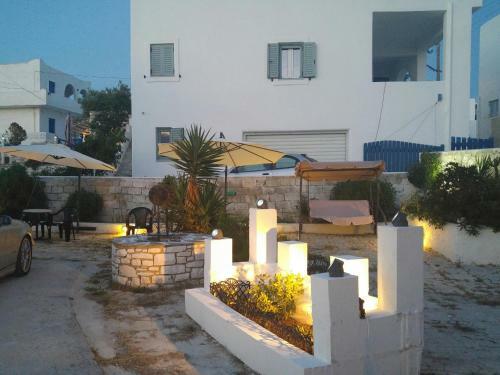 The location is perfect, just near the sea with a beautiful view. We even saw sunrise from our place. The room had all the facilities, the breakfast was very nice. Everything about the place is perfect. We would like to come there again. Google value and helpful lady named Yianna solved any issues. Nos encantó el poder desayunar cada mañana en el porche delantero de la casa y poder cenar tranquilamente en la terraza trasera del apartamento. El alojamiento está cerca de una Bakery, así que cada mañana mientras se hacia el café íbamos a buscar nuestras pastas recién hechas. Estaban deliciosas!! La habitación tenía una Smart TV, así que podíamos acabar el día viendo alguna película en nuestro idioma. 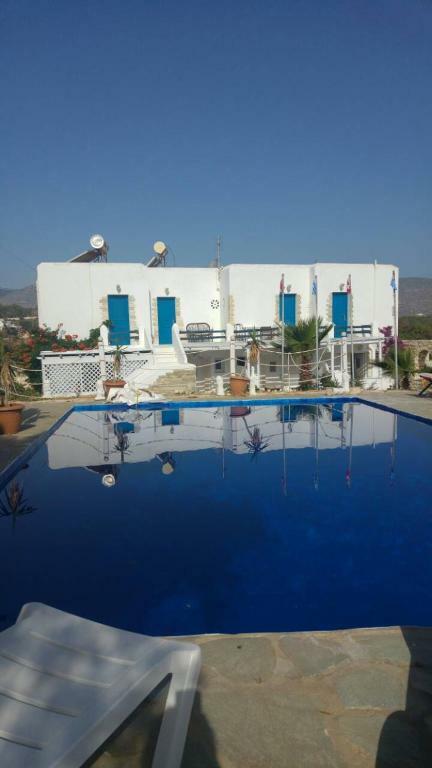 Lock in a great price for Piliouris Studios – rated 8.7 by recent guests! 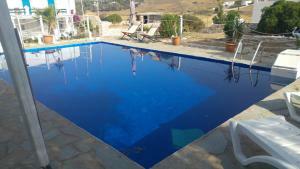 Just 350 feet from the sandy Piso Livadi Beach in Paros, Piliouris Studios offers a pool. It features air-conditioned units with balcony overlooking the village or the garden. Free WiFi is available in all areas. A fridge, a fan and a TV is included in all the accommodations at Piliouris Studios. Each room has a private bathroom with bathrobes, toiletries and hairdryer, while the studios also include a well-equipped kitchenette. Naousa Town is 9.3 mi away. Parikia, the main town and port is within 11 mi. 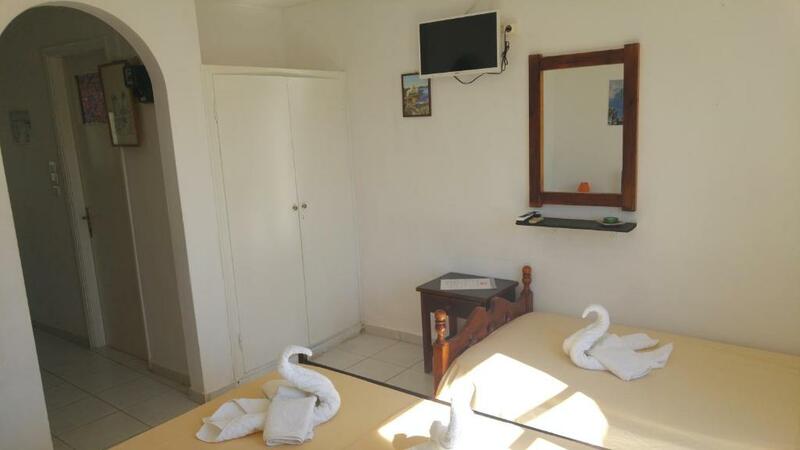 Staff can arrange car or bike rental and free private parking is available at the property. Many restaurants and cafés can be found along the waterfront. This is our guests' favorite part of Piso Livadi, according to independent reviews. This property is also rated for the best value in Piso Livadi! Guests are getting more for their money when compared to other properties in this city. 뀐 Located in the top-rated area in Piso Livadi, this property has an excellent location score of 8.7! When would you like to stay at Piliouris Studios? Αir-conditioned room with balcony overlooking the village or the garden. Free WiFi access is provided. Αir-conditioned studio on the ground floor with balcony overlooking the village or the garden. A kitchenette with fridge and cooking facilities is included. Free WiFi access is provided. 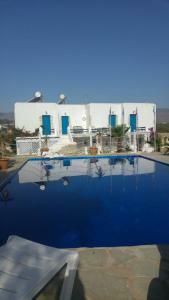 Thank you for choosing Villa Melina for your holidays in Paros! We offer comfortable, budget accomodation for everyone who loves greek islands, and searches a place to rest in close distance to lovely harbour of Piso Livadi, where are located famous tavernes with amazing typical greek cuizine, bars and coffee shops, where you can enjoy iced frappe and close to 4 beaches, where you can swim, tan or enjoy diving. We offer also continental breakfast, if you did not booked them via your reservation, you can ask for them in reception (5 EUR/person). I adore Paros! It is such a lovely island, and i love the whole atmosphere. I like diving, swimming, fishing and driving a speed boat. If you are interested in, i can take you and your friends/family for a trip to explore some nice places around island. 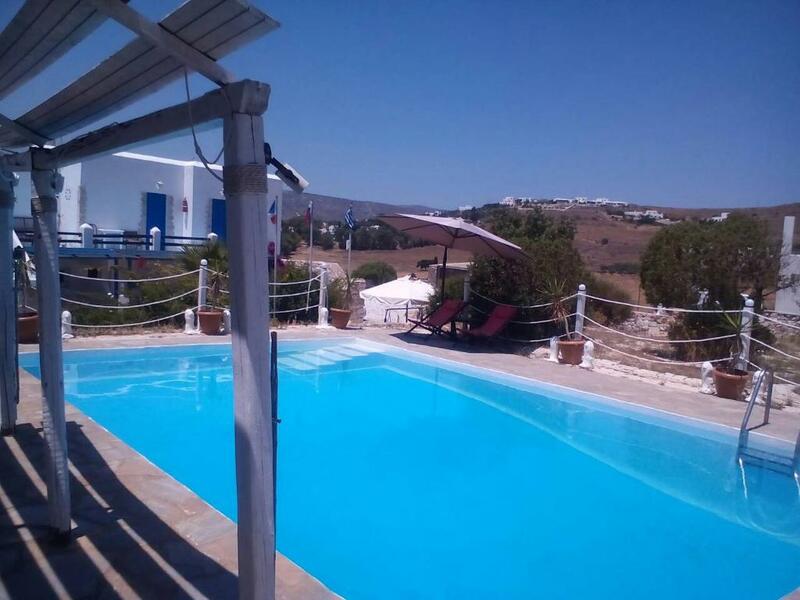 Villa Melina is located in lovely fishermans village Piso Livadi. 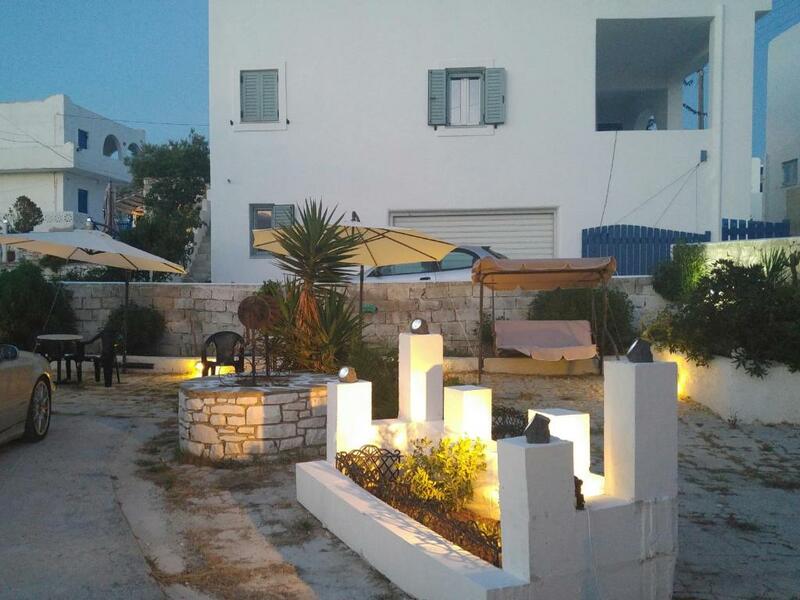 You can taste typical greek cuisine in taverns which are located in a harbour with the most wonderful sea view. There are souvenir shops, mini markets, typical greek souvlaki straight in Piso Livadi. 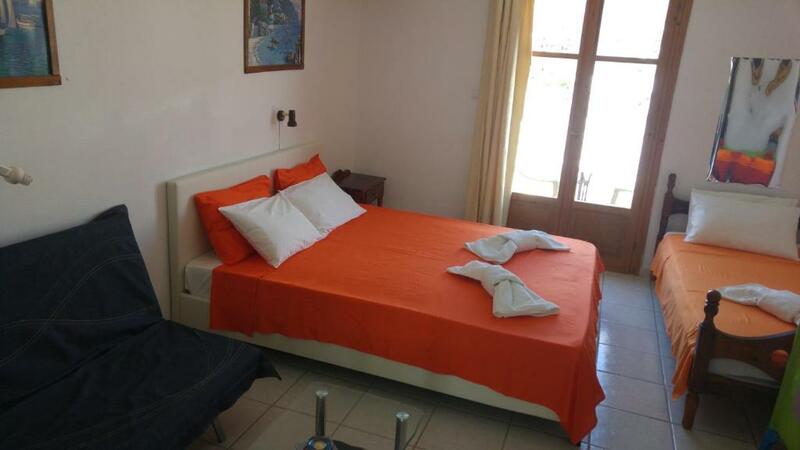 You can spend amazing funny atmosphere in famous beach club Punda, which is just 5 minutes by car or bus far away from Piso Livadi, walk and meet a beautiful village Lefkes, live and feel the atmosphere of greek celebrations in Marmara village and meet the most beautiful beaches of the island. You can rent a car in Piso Livadi, buy a ticket for an amazing daily boat trip from Piso Livadi to small islands around. There is also a big supermarket in Marpissa village, just 5 minutes of walking from us. House Rules Piliouris Studios takes special requests – add in the next step! Piliouris Studios accepts these cards and reserves the right to temporarily hold an amount prior to arrival. The wifi sometimes didnt work well and was stucking, but that was not a big problem for us. The bathroom was a bit dated, but we did get value for our money. Nice owners too. Although we appreciate that owner tried his best, we were greatly disappointed by the look of the property and the condition of it. Pictures on the booking.com do not match the reality. Everything was dated, worn-out, ready to collapse & in desperate need of repair. Breakfast was served in the unsuitable place and there are no proper kitchen facilities on this property. Swimming pool is dirty & not safe to use. Electrical installations are dangerous. What used to be a garden in now a pile of garbage. So called "barbecue facilities" are in a horrible state, filthy and couldn't be used. Water supply in WC/bathrooms is poor, in all the 4 upper rooms showers and WC had to be used in turns, as otherwise water was simply not running. Kitchenette was very basic with mismatched everything. Could be improved. Very friendly owners and very good breakfast.